Former chief justice Abdul Hamid Mohamad has argued that a further extension to the tenure of Chief Justice Md Raus Sharif after the 66 years and six months would be unconstitutional. Hamid posted his advice on the constitutionality of prolonging the tenure with a month to go into Justice Raus' six-month extension. However, on the outset of his blog posting, he stressed that he was not writing because he does not like Justice Raus, but was merely highlighting his point of view on the constitution. Hamid was the chief justice from November 2007 to October 2008. He said Article 125(1) of the Federal Constitution states that a judge of the Federal Court shall hold office until he attains the age of 66 years or such later time, not being later than six months after he attains that age, as the Yang di-Pertuan Agong may approve. Hamid said the provision stated in no uncertain terms that the mandatory retirement age of a judge of the Federal Court (including the CJ) should be when he or she attains the age of 66 years. “However, the Yang di-Pertuan Agong may extend it for another six months and no more. So, even with the extension, once a CJ has attained the age of 66 years and six months, his service cannot be further extended pursuant to this clause,” he argued. It was previously reported in The Malaysian Insight, that Justice Md Raus' tenure may be extended beyond the 66 years and six months. Justice Md Raus turned 66 on Feb 4, and now has served five months into his extension. Hamid also responded to Article 122 (1A) of the Federal Constitution which states that "Notwithstanding anything in this constitution contained, the Yang di-Pertuan Agong acting on the advice of the CJ of the Federal Court may appoint for such purposes or for such period of time as he may specify any person who has held high judicial office in Malaysia to be an additional judge of the Federal Court, provided that no such additional judge shall be ineligible to hold office by reason of having attained the age of 66 years". The former CJ pointed out that this clause clearly refers to Yang di Pertuan Agong who "may appoint". “So, it is an appointment, not an extension. In other words, the term of office of a CJ cannot be extended pursuant to this clause. “Secondly, that clause talks about 'an additional judge of the Federal Court'. The words 'an additional judge of the Federal Court' can only mean what they say that is for an additional judge at the apex court to do the work of a Federal Court judge, not to the CJ the head of the judiciary. So, this clause does not provide for the Yang di-Pertuan Agong to appoint a CJ,” he said. Hamid further reasoned that the appointment of an additional judge ought to be made on the advice of the chief justice. “So, Clause 122(1A) provides for the appointment of an additional judge of the Federal Court, not a back door for appointing a CJ. To allow it to happen, it will lead to an abuse of the provision,” he added. Hamid further argued that an extension beyond the 66-year and six-month tenure by the CJ may compromise the independence of the judiciary. “A CJ, who wants to be reappointed after reaching the age of 66 years and six months or who has (wrongly) been reappointed may go out of the way to please the Yang di-Pertuan Agong and the prime minister, hoping to be reappointed after his term of office expires or after his reappointment expires. “This trend may go down the line and the independence of the judiciary is compromised. It would lead to uncertainty among the judges regarding their career. They would not know who would be the CJ and for how long and what are the chances of their own promotions. “Therefore, with the greatest respect to Justice Raus, I am of the view that his purported appointment after he has attained the age of 66 years and six months for a further period of two years, if true, is unconstitutional,” Hamid maintained. The former CJ also opined that should Justice Raus' extension be challenged in court, it would lead to an embarrassing moment for the judiciary. “It would be embarrassing for the next senior judge, the Court of Appeal president, to preside the court to hear the case as it could be said that he has a personal interest. “Indeed the same argument applies to chief judge (of Malaya), chief judge (of Sabah and Sarawak) and the Federal Court judges, at least the more senior ones,” he added. Hamid further added that should the government appoint Justice Raus, the best way to resolve the matter would be for the present CJ to refuse the post. “He (Justice Raus) should put aside his personal interest, rise to the occasion and decline it. 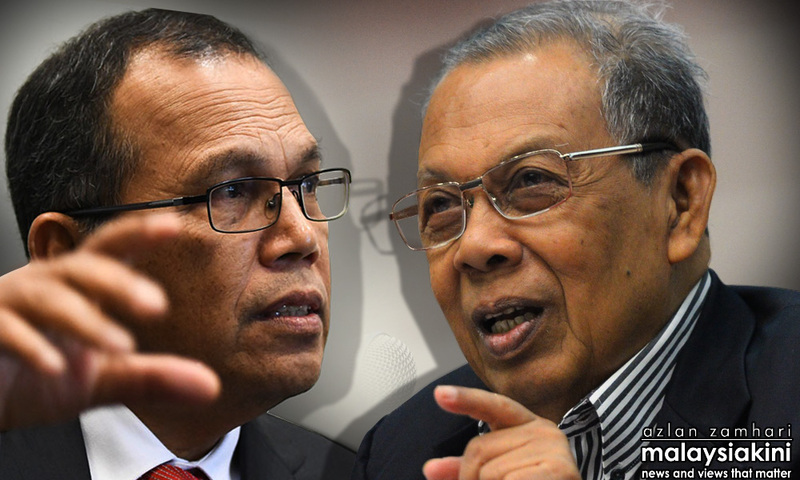 In April, retired Federal Court judge Gopal Sri Ram said there are capable judges to take over the position of chief justice should Justice Raus retire as the country's top judicial officer.